3D still room images with character. Impactful scene views of your project. Illustrated, rendered and edited as shown on this website. Images available as JPG, PNG, TIFF or PDF. Resolution / image size min. 2000 px wide. Developed from your provided information. From your 3D Floor Plan project or as a stand alone service. Typical lead-time is 1-3 weeks. Depending on the complexity of the the project. Larger projects may take longer. You can access and download your image material from anywhere, anytime on any device. Demo Master Bedroom project. PDF in paper format A2. A broadsheet style presentation on client request. Each project is different. The final project cost may vary, depending on your individual requirements. Frequently Asked Questions. All projects are subject of approval. Interior Design scenes visualised - for apartments and houses of all sizes. Interior design concepts of well-known furniture brands visualised in 3D. Available for viewing and sharing on all devices. Representation of alternative furniture configurations or product solutions. Alternative color and material concepts. Amendments of any kind, as specified by you. The estimated job total will be communicated before we get started. Ideas for furniture, lighting, space planning, ceilings, interior architecture and more. Ideas and concepts for rooms such as living, dining, sleeping, kitchens, hotel rooms or anything else. This service is also suited to develop your remodelling project or new building ideas. Moving walls, extending rooms, bigger windows, fireplaces, new stairs or anything else. Support with your product selection. Product sourcing. Conceptual development, planning or presentation meetings via live screen sharing. Interior design concepts of well-known furniture brands visualised in 3D. Available for viewing and sharing on all devices. Provide some basic info. All you need is access to a computer or tablet, a measuring tape and a phone with a camera. Send photos, floor-plans, measurements, sketches, ideas. Your list of products and materials. We will work with whatever information you can send us. Email your files or link to your favourite cloud storage service. Once your information has been received, we discuss all the details via email, telephone and video communication (Skype, FaceTime etc.) and get started. Give us approx. 10 days* and we will have your concepts and 3D project visualisation ready. During the process we will keep in touch and give feedback. *Larger projects may take longer. Express processing is available. If you are in a hurry. Access your compelling project presentation anywhere, anytime at any device. Everything you need to experience your project virtually at its best. Contact us for more example projects. Or check out our new Instagram page. 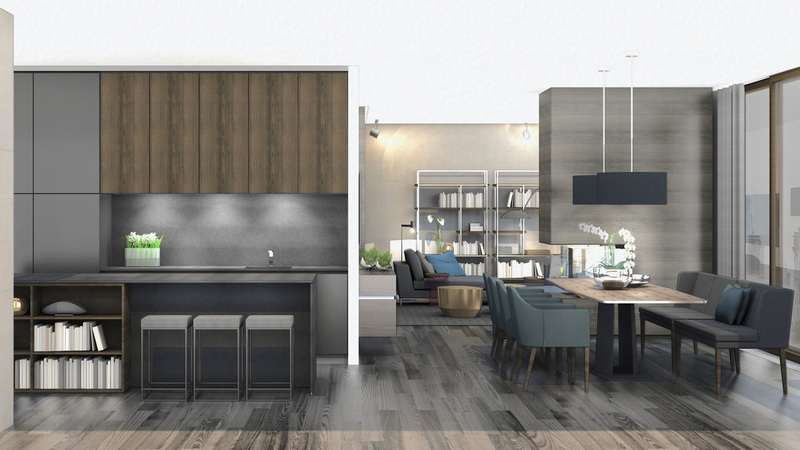 #3Dinteriordesigner services are primarily focused on visualising interior design concepts, with the product lines of the following furniture brands. We will visualise as many versions of your concept, as you need for your success.